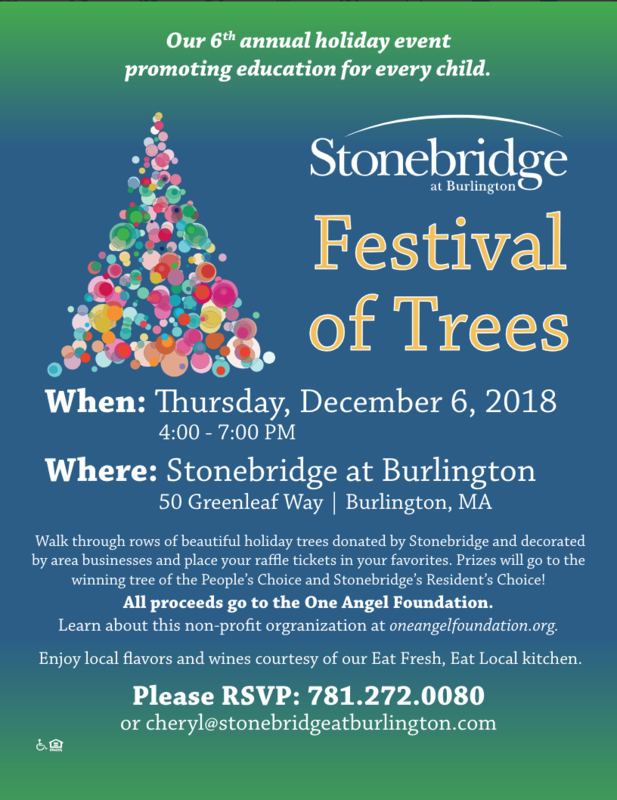 Walk through rows of beautiful holiday trees donated by Stonebridge and decorated by area businesses and place your raffle tickets in your favorites. Prizes will go to the winning tree of the People’s Choice and Stonebridge’s Resident’s Choice! Please RSVP: 781.272.0080 or cheryl@stonebridgeatburlington.com.